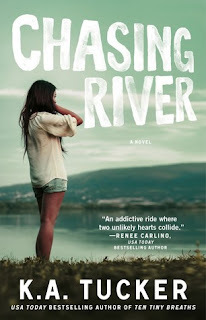 CHASING RIVER by K.A. 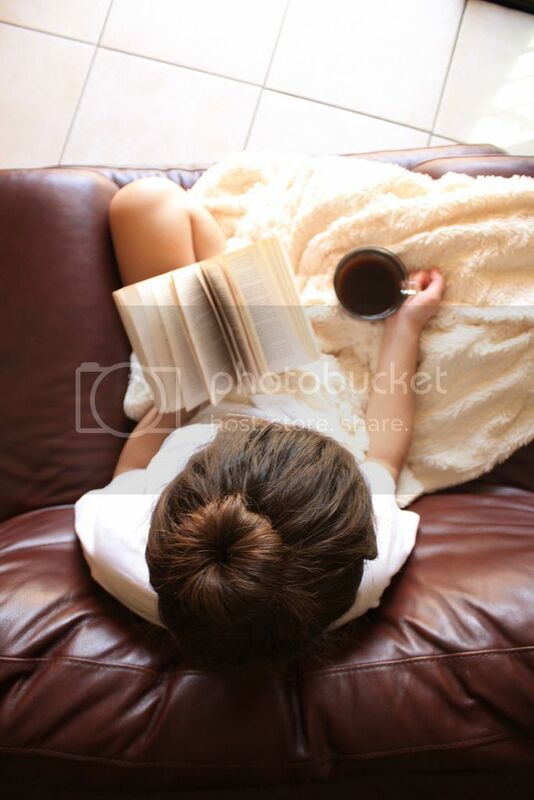 Tucker is the third installment in the Burying Water Series and giving it anything under five cups of coffee would not only be a huge disservice to the author herself, but to every potential reader out there. 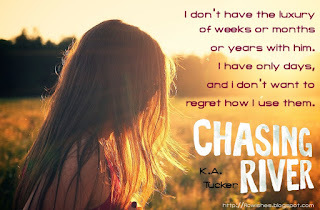 The first two books in this series, BURYING WATER and BECOMING RAIN, solidified my love for Tucker through the combination of her writing style and her ability to make you feel personally connected with every single character. 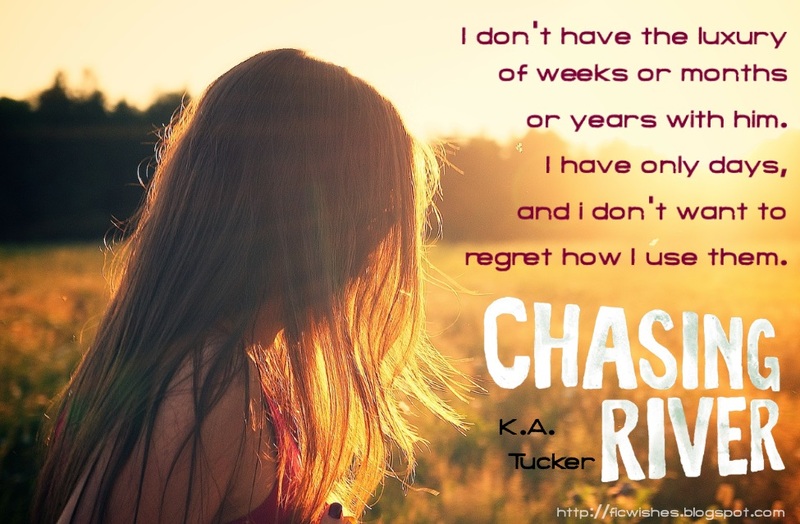 But CHASING RIVER intensified my love for Tucker’s series and I would be lying if I said it didn’t leave me an emotional, daydreaming mess by the end. 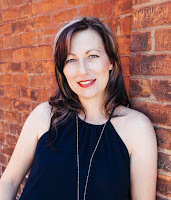 Amber Welles has left everything she’s ever known back in a small town in Oregon, and ventured off on a multi-destination trip in order to find a version of herself opposite of the convenient, quaint routine she once lived. On one particular morning, she finds herself running through a taped-off, grassy Irish field to catch a morning tour of the foreign country, but is quickly pummeled into the ground by a man in an effort to save a woman in the wrong place at the wrong time. Running off quickly after, finding the man who saved Amber immediately becomes her mission for the remainder of her stay in Ireland. However, she doesn’t realize the very thing that this stranger protected her from is the same thing that will keep them apart. River Delaney was only cleaning up the mess that his criminally-influenced brother, Aengus, had created, but he doesn’t know this mess will also lead to a connection stronger than he’s ever felt before. 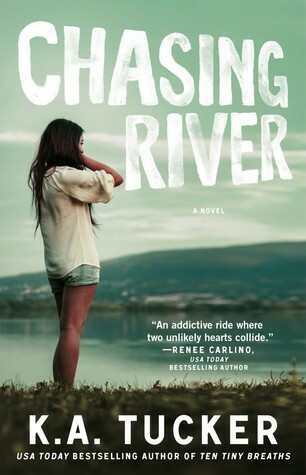 After tracking him down, River realizes Amber isn’t a mess to be forgotten, but the chance of adding her to a life full of dodging law enforcement just doesn’t seem feasible. Amber and River both hold something that the other has never realized they needed until now, but River’s family has always come first, even if it means putting himself last in an effort to save everyone. Their struggle to be together despite the violence brought about from hundreds of years of Irish conflict kept me addicted through the entirety of the story, and even makes me emotional whilst writing this review. The Burying Water Series is by far my favorite out of everything Tucker has published and honestly, rating CHASING RIVER as five cups of coffee doesn’t even seem to do this story justice. There are three places in the world I would love to visit. 1. England, because of its history. 2. New Zealand. After I read "Where Sea Meets Sky" by Karina Halle, I fell in love with that story and all the places the characters visited in New Zealand. 3. South Korea. My daughter made me listen to some K-Pop one day and I've been hooked ever since. I would love to see some historic places there too. I'd love to travel the world! I'd love to go to America, Russia, Germany, France!